There is another event on in Newcastle during the AESC which will mean accommodation will be extremely hard to come by. The Secretariat has block bookings in place at a number of hotels however all unsold rooms must be released back to the hotels 30 days prior to the convention. We highly recommend you book your accommodation sooner rather than later to avoid disappointment. Members of the Geological Society of Australia, the Geological Society of America and Geoscience New Zealand receive a discounted registration rate. If you would like to join the GSA click here. 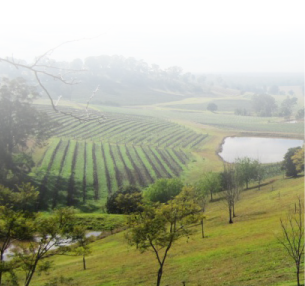 The member rate also applies to current members of the International Association of Hydrogeologists (IAH) and Coalfield Geology Council of NSW (CGC). Registration includes Morning Tea, Lunch, Afternoon Tea and the Welcome Reception Sunday evening. Each person attending the Convention needs to complete a registration form online at www.aesc2014.gsa.org.au. For those without internet access, you can complete the form at the end of this brochure and email/fax/post it back. A letter of confirmation will then be forwarded by email. Please ensure you read all information in this brochure carefully before completing the registration form. Each person attending the Convention needs to complete a registration form online by clicking the above delegate zone link. Alternatively, you can complete the form at the end of the registration brochure and email/fax/post it back. A letter of confirmation will then be forwarded by email. Please ensure you read all information on this website carefully before completing the registration form. Cancellations must be notified in writing to the Secretariat. · Before 30 June 2014 will receive a 50% refund of fees paid. · After 30 June 2014 there will be no refund.